There's nothing like tucking into a steaming hot bowl of red wine mee suah, the best comfort food ever. 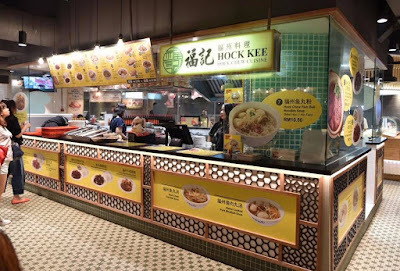 Recently, we were back at Lot 10 Hutong for our foodie's quest and was introduced to Hock Kee. 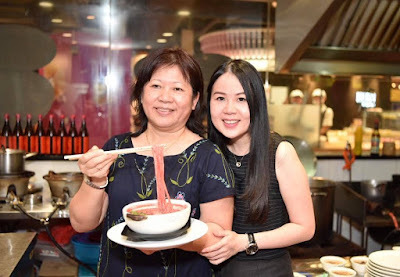 Apparently, Hock Kee's signature Red Wine Mee Suah recipe was inherited three generations and till today still maintain the legacy of its cuisine. Sinfully delicious, the red wine soup was fragrant, though we wish for a stronger tasting soup. 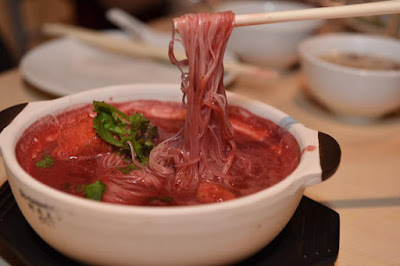 The noodles tasted good, but were a tad sticky. 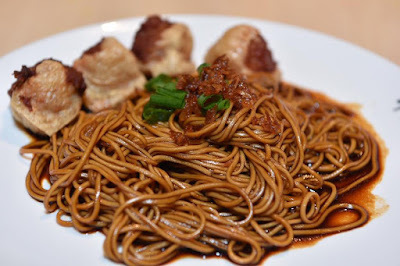 The fried mee suah was highly aromatic comes with 4 pieces of juicy and succulent dumplings. 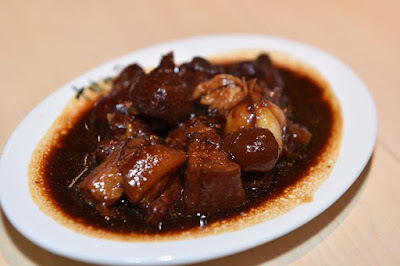 Moist and juicy, good fat to lean ratio the braised pork was well balanced in flavour, definitely to die for. 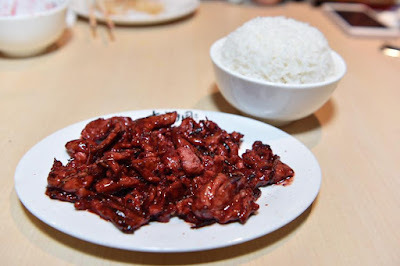 Juicy and tender, the pork was well-coated with red vinasse and highly addictive. 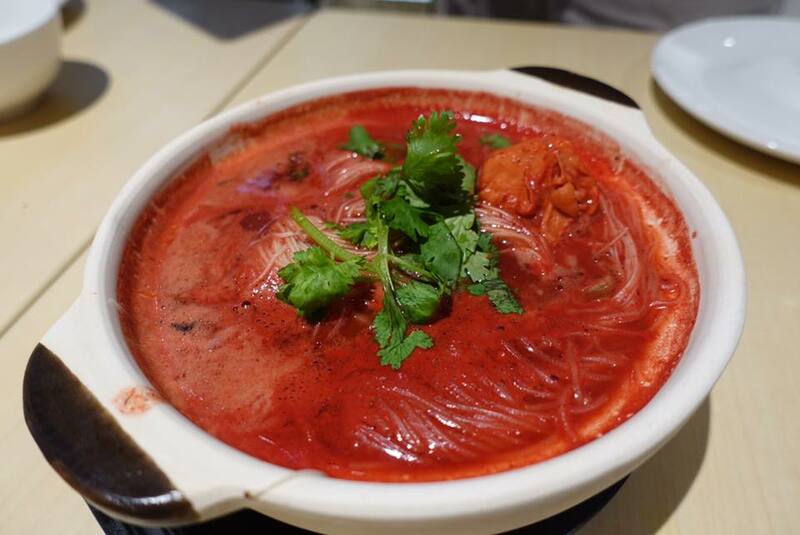 It's the first time we tried this and we are a huge fan! 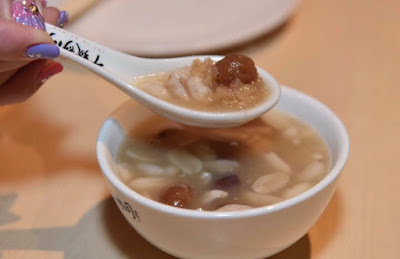 The wonderful concoction of peanuts and longan with just the right sweetness was simply mind blowing. Hock Kee, a reliving memories of a mother's love with each and every dish evoke a strong reminiscence of the founder roots and their great grandmother undying love. Come savour the authentic flavours of Hock Chew dishes here at Hock Kee!